With gilt. 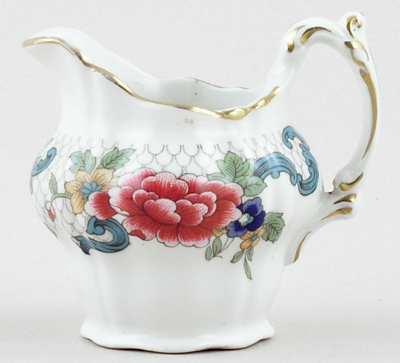 Lovely jug with gently moulded body and ornate handle. Backstamp: Booths Made in England A8042 Floradora and impressed Made in England. Two tiny blemishes one inside and the other just under the rim otherwise excellent condition.